The creditworthiness of China’s developers has been called into question as credit channels tighten amidst an avalanche of attempts to borrow in order to bolster land banks. The Bloomberg Default risk model, which tracks metrics including share performance, liabilities and cash flow, shows a 0.87% average probability that Chinese real estate companies will renege on their obligations in the next 12 months, triple the likelihood of default risk as compared to companies in the technology sector. S&P and Moody’s predict a negative rating trend for this industry in the short-term due to the tough funding environment. Indeed both international and local rating agencies alike caution investors to scrutinise the amount of debt coming due and their liquidity position before considering a property developer’s bonds. With China’s slowing economic growth and policy makers proceeding on a financial deleveraging campaign, builders, faced with a record amount of maturing debt of 625 billion yuan (US$96 billion) in the domestic and overseas markets combined through to 2019, must find new ways to refinance. Creative ways of raising new debt is gaining popularity, as seen by China Vanke’s May sale of floating-rate notes in the U.S. market. 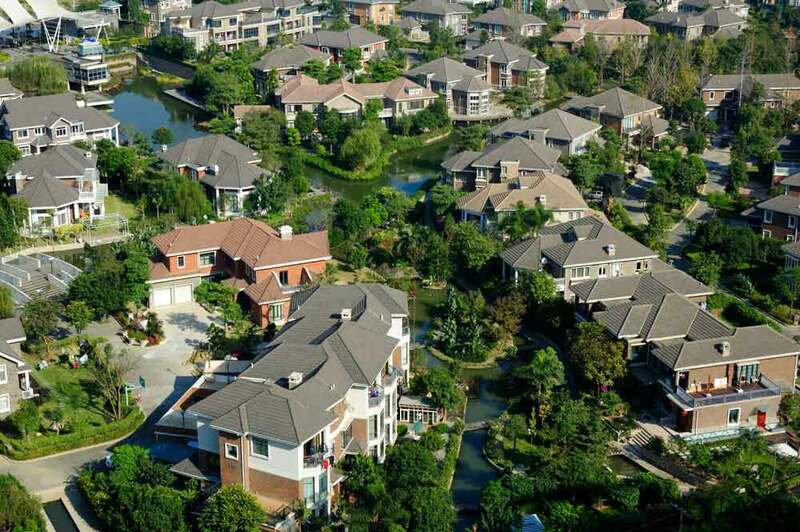 Given the property market’s importance to China’s economy, policy markers are unlikely to allow the sector’s financing issues to become systemic, with chances of the government using monetary policy to boost funding supply and avoid a cash squeeze seen as being reasonably high.